In other news, I finally got down to the cinema to watch Spider-Man: Into The Spider-Verse, and my goodness, if it wasn’t just as good as everybody says it was2. What I didn’t appreciate was being asked at the ticket booth if I was 55 or over. Now, admittedly: I was with Tammy and Robert and their children, so that’s an odd combination of adults, and I do need a haircut. But still, ticket booth operator: that’s ice cold. Expect to see me react to that episode by buying a Porsche and wearing a wig. Or…wearing a blanket over my feet in the morning because they’re cold and taking another ibuprofen for my bad foot whilst shaking my head at a pointless meme a 20-year-old has posted on Facebook. I may need a walking stick to shake while I witter on about how much better things were on USENET3. We also had a trip to an open house on Saturday. Not that I’m in the market for moving, but one of the area’s Frank Lloyd Wright houses has come up for sale, and it seemed like a fun idea to have a nose around. I’m not sure if now having a much bigger house has coloured my views or anything, but I wasn’t all that impressed. The big communal room with overhanging balcony and plenty of floor to ceiling glass was quite nice, but the kitchen was smaller than Driver’s (and a gas hob with no venting hood seems like an interesting plan), the non-master bedrooms were a touch larger than a Tokyo capsule hotel4, and that wide expanse of glass was only single-glazed, so heating the place is likely a fun adventure. However, the estate agents were very happy to point out that the roof was fine, so it doesn’t have the problem that a Wright house normally has. But yes, oddly not impressed in the slightest. Cat update: after a week after her not using the litter trays, I finally took her to the vet. And she did have something wrong with her, but she’s now recovering. Also, you’d be surprised at how loud a cat can scream. I definitely was. This week! Waiting for the snow to melt up to the weekend, and then having another major snowstorm on Saturday! I may have to dig my way out at some point. Let’s sum up how Sunday afternoon went, shall we? Yes, water seeped into the bar from above. Not great. But in pulling out what I believed to be a block of wood that was painted black, I discovered that it was in fact a Samsung Bluetooth sound bar. Which includes Optical Digital Input lines (fancy!). It’s been sitting there for a year and I had no clue. Thankfully, it still works. I made a new cocktail! Admittedly, it was just hot caramelized white chocolate with a shot of Evan Williams Single Barrel in it, but it was nice? We used transglutaminase for the first time! And I didn’t glue my fingers together! I provided a helpful service of translating public school English into American (mainly around the euphemisms for homosexuality). As well as trying (and failing) to explain Curiosity Killed The Cat. Meijer also has chocolate digestives, and they’re 70¢ cheaper than Kroger! Result! Oh, and stroopwafels. Mmmmm, stroooooooopwafels. Well, hello there, 2019. You’ve redecorated. I don’t like it. But maybe it’ll grow on both of us, right? I have returned back to the United States with a ridiculous amount of ginger cake (of course, there’s always room for more), the complete DVD box set of Waiting For God (shut up, you at the back — name me another sitcom even now that has an openly feminist atheist as its main star, eh? ), and several kilograms of Daily Milk chocolate. More than enough things to keep me going until I go home again in April. There’s a list of things I’d like to do this year; the list just grew to somewhat mammoth proportions over the Christmas break, so how much of it will get done is anybody’s guess. I did manage to spend the last day of 2018 making a breakthrough on one project though — one that delves into my childhood and brings it right into the future. It is both more boring and less pretentious than that sounds, honest. Anyway, I hope you all had a good New Year’s Eve and let’s hope that 2019 brings better things than 2018. Back in the UK for a little while (until this upcoming Sunday). Friends, family, and all the mince pies it’s physically possible to eat in eight days. See you in the new year! I CAN'T FIND THE BISCUITS! I am a creature of habit, to the extent that change is a problem. Why not ask my mother, who I still haven’t forgiven entirely for throwing out the biscuit tin of my childhood earlier this year1. I have had a very nice routine since I arrived in Cincinnati: get on the main road, drive for about 2 miles, and then turn right for the Kroger that has dark chocolate digestive biscuits. And other foods, but as you may have noticed, biscuits are also apparently an important part of my psyche. And so, this week, I braved the almost-Christmas traffic to head to Kroger one last time before I come back home to the UK next week. I arrived to an almost-empty car park and a sign on the door saying that they had closed. Now, admittedly, there’s a fancy new Kroger2 across the road that just opened to take its place, but my habit: ruined. I have to turn left now instead of right! What a personal disaster! Also, it took me twenty minutes to find the digestives. Oh, I actually was part of a winning trivia team this week! And all I had to give up was eye-rolling at the Union Jacks everywhere in the pub. I think my only real contributions were knowing who Was (Not Was) were and the importance of Westminster Abbey, while also revealing my deep-seated ire against the Shrek films3, but I contributed! Somewhat! Helvetica update: she has decided that she is a lap cat when I’m on the couch, especially when I’m trying to use the laptop. She would like me to point out that she believes that only being fed twice a day is not acceptable. Let’s hope she never discovers my family’s feeding regime for their cats. You’d think with all the travelling I’ve done this week, I’d have some good stories. But, not really? Two days of work and the hotel was about five minutes away from the office, so I didn’t really have much of a reason to venture anywhere. Although the hotel did have some weird ideas of how to lay out a floor that veered on the realms of breaking Euclidean Geometry, and I’ve now been to Elixir enough times that I have a conversation with the bar owner about how new craft distilleries will survive now that MGP distillate seems to be thin on the ground. Good times! So that was San Francisco. And it rained. But I guess in February, it’ll give me something of a respite from the inevitable deep snow in Ohio? Maybe? Anyway, having got back to Cincinnati, I managed to get to the Newport Prohibition Bourbon Bar this weekend. I discovered that it existed almost two years ago, but a combination of it being over the river and opening hours that make Allen & Son1 look positively welcoming has made it difficult to plan a visit. But finally, just before running out the clock on 2018, we made the arduous trip across the Ohio River. And my goodness. Elixir is impressive. This is something else. It’s not very big, but there are bottles everywhere. Including crazy things like 1970s and 1980s bottles of Wild Turkey just hanging out. And they sell bottles too — barrel picks and things that are rather hard to obtain in the area. Obviously, I will have to go back. On the festive update, I will say that a healthy diet of Slade has helped up the festive levels considerably. 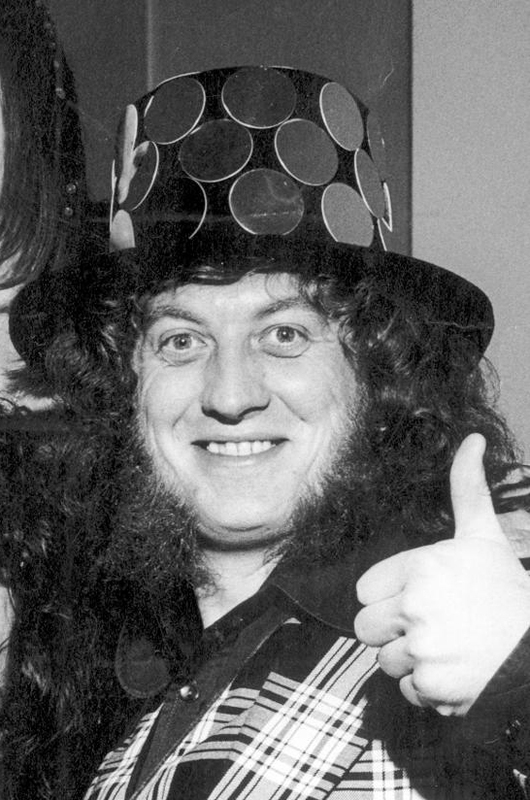 Thank you, Sir Noddy of Holder!